You can now try the top cloud plan, Professional for 30 days, free. Mac users can now use the Bitrix24.Drive feature in the desktop app. Clients using the Free and Standard plans can now test out all the features of the Professional plan of Bitrix24, free, for 30 days. When you activate the demo, you will see information on this page concerning the number of days left and how to discontinue the demo. The extranet feature, which allows collaboration with external users is available, this feature is also available in the Standard plan. After the 30-day period has expired, the additional functionality will no longer be available, but the data entered in these features is saved and will be available if the Professional plan is purchased. Note that for the extranet, purchasing the Standard plan will make it and data entered in it available. 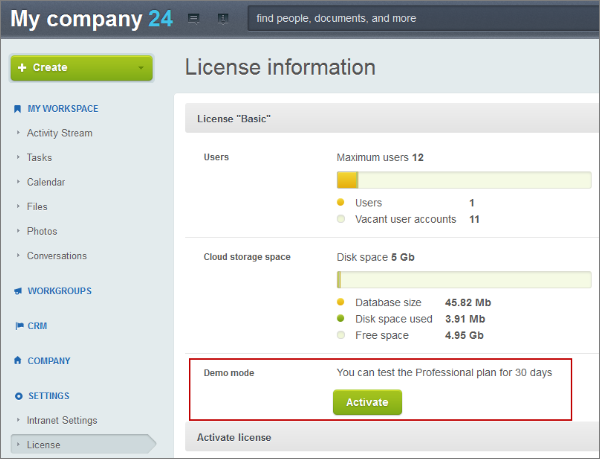 The 30-day trial is available only once in each Bitrix24 instance. 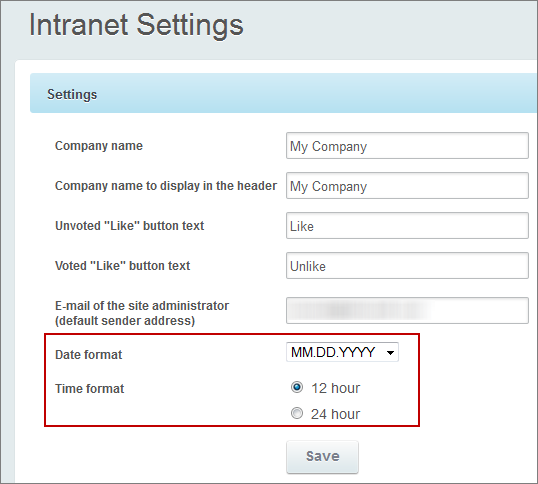 There is now the option to configure date and time settings. The order and format of days, months, and years can be chosen and there is the option to switch between a 12-hour or 24-hour clock. It’s worth pointing out that there are a few places, such as the Activity Stream, where the date is displayed differently from the rest of the system. This is done for better visual effects; the clock can be set for 12 or 24 hours. 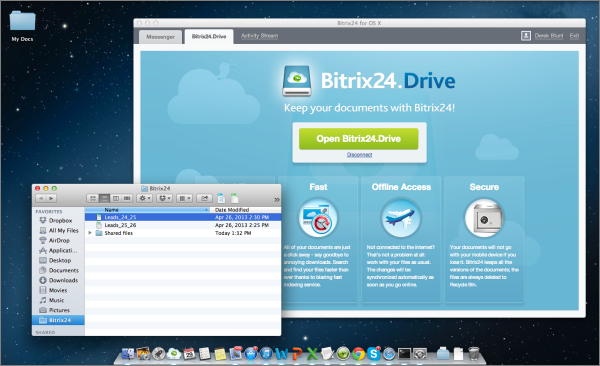 The desktop app for Mac of Bitrix24 includes Bitrix24.Drive now. As with Windows, you can now access your documents stored in Bitrix24 via your desktop with a synchronized link between your computer and your Bitrix24. The main update is in the interface. 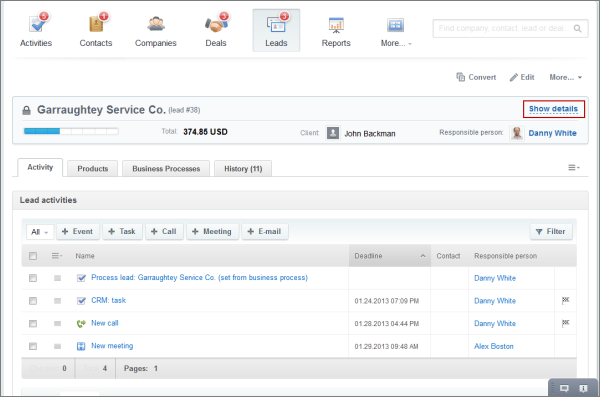 The detail pages for CRM objects (contacts, companies, deals and leads) are now rearranged. Details about the object are now displayed in a collapsible panel above the list of activities. Furthermore, these details can be edited directly from this view. 'Show details' expands the area wh ere individual data about the lead, contact, company or deal is kept. Now supports deletion of the standard filters in the filter list. Allows sorting of deals by deal stage.